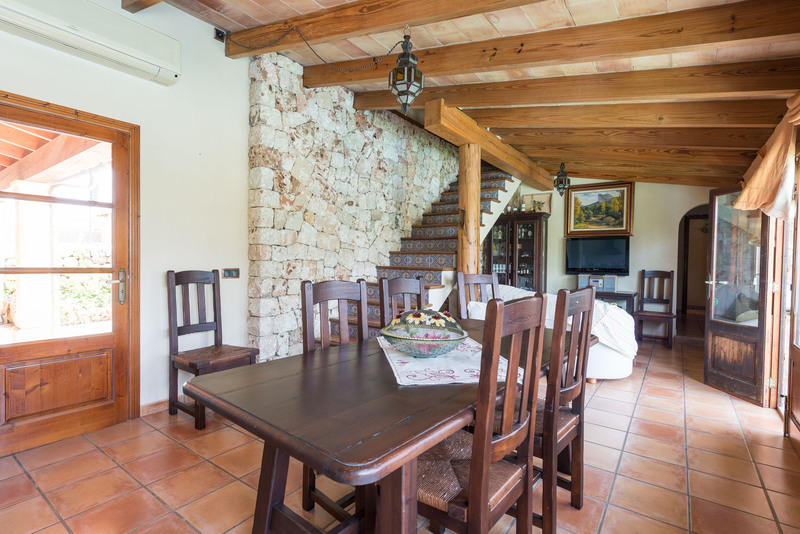 Set in Sineu, in the centre of Mallorca, this rustic-style house with private pool welcomes 6 guests. 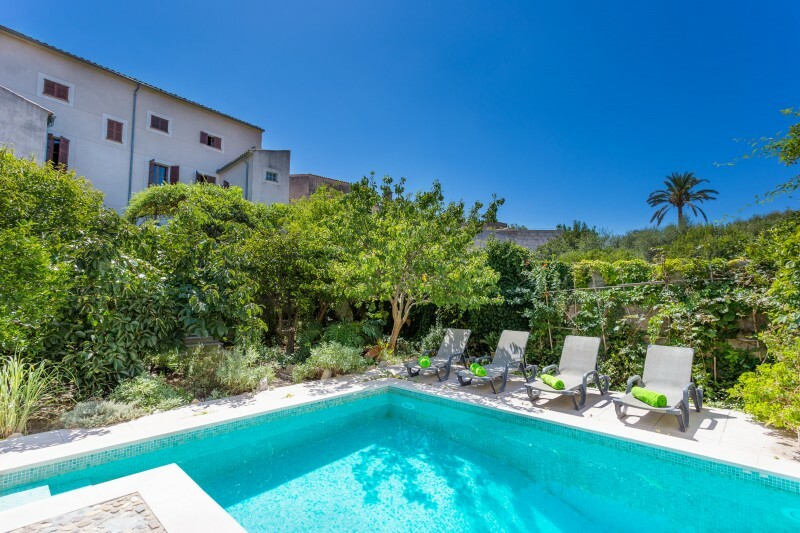 This property features a 7m x 4m chlorine, private pool with a depth ranging from 1m to 2.5m and an exterior shower to refresh yourself during hot summer days. Afternoons can be spend basking in the sun on one of the 6 sun loungers, having a tasty barbecue or a fine glass of wine on the terrace. There's a furnished porch, decorated with antic farmer's tools. 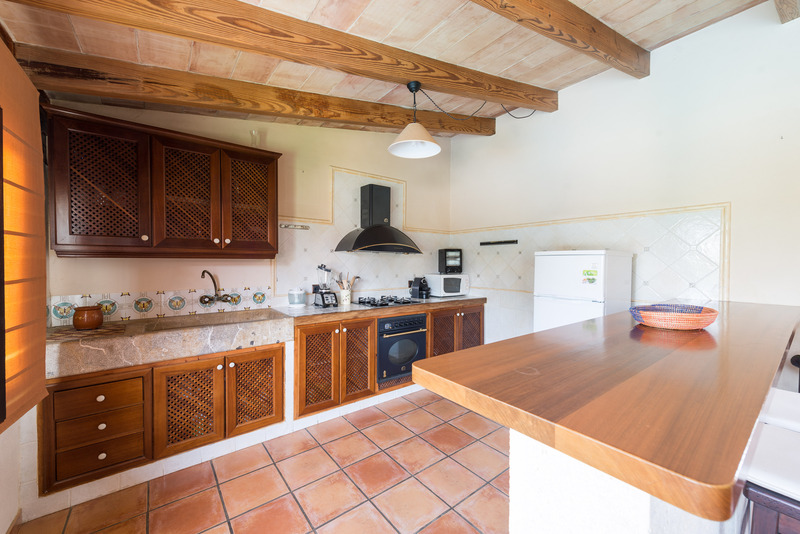 This amazing property is fenced, is a few minutes walking from the centre of Sineu and has direct neighbours. 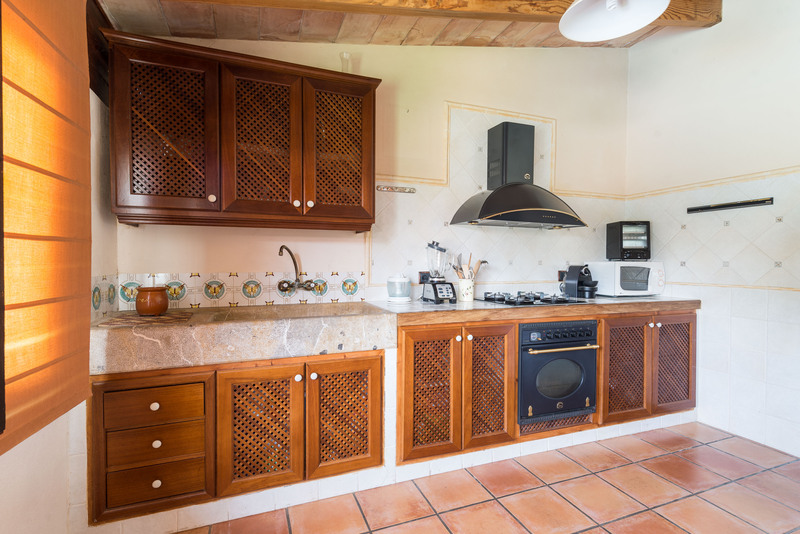 Inside, there's a cosy sitting-dining room with A/C and an open, fully-equipped kitchen with gas hob. A laundry room offers a washer, an iron and an ironing board. 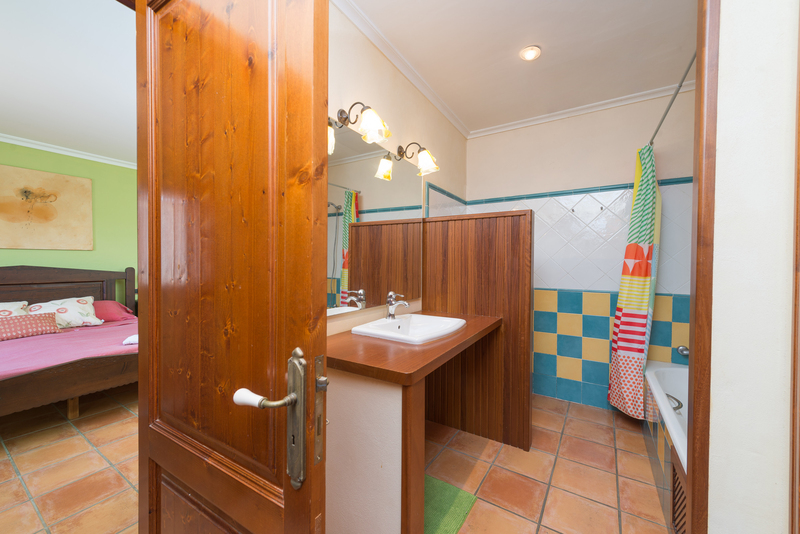 A shower bathroom, a bedroom with double bed and a bedroom with two single beds are located on the ground floor. 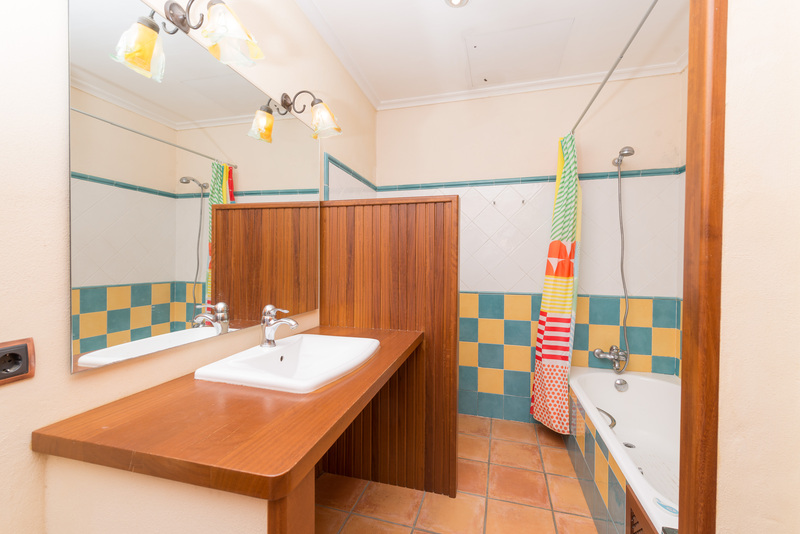 Upstairs, there's a bedroom with double bed, A/C and bath en-suite with bath tub. If you travel with a baby, we'll supply you a cot and a high chair. A few minutes walking take you to the centre of Sineu, an enchanting village. 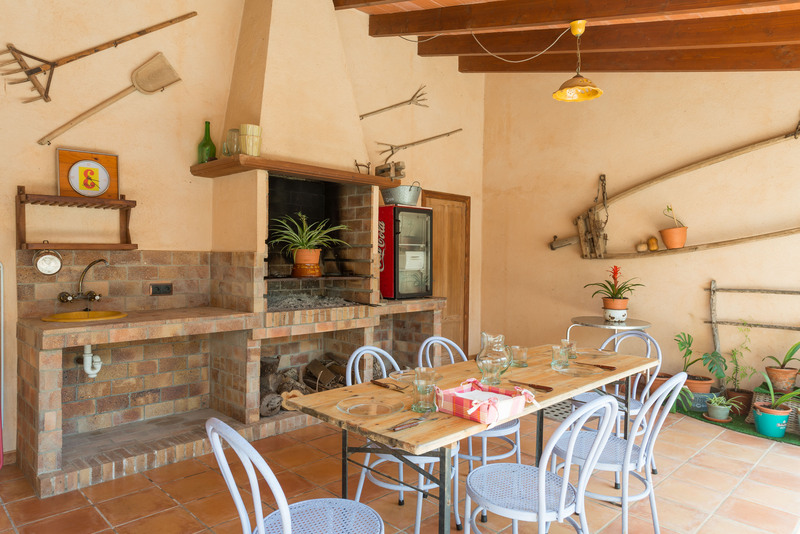 There are good restaurants, called cellers, where you can taste Majorcan food and wines. On Wednesday, in Sineu takes place the most traditional market of Mallorca. The surroundings are beautiful and perfect for cycling tours through the fields. 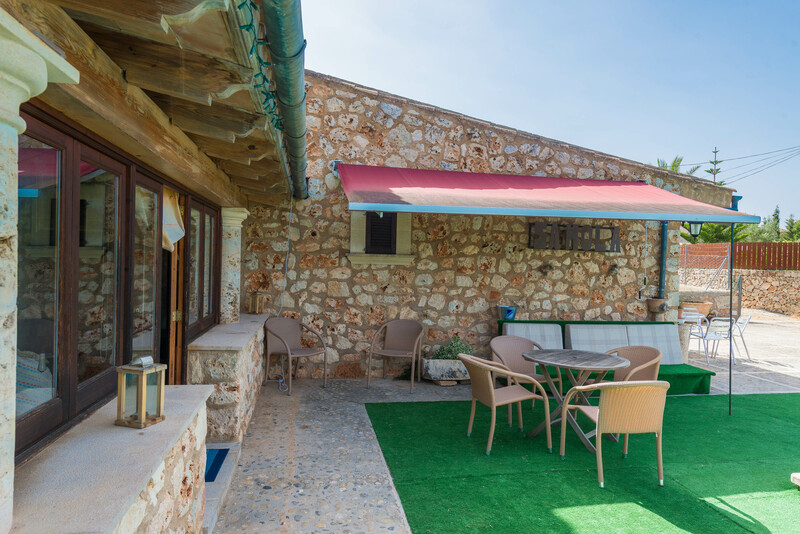 If the beach is what you are searching for, a 30 minutes' drive takes you to the beautiful north coast and to dreamlike beaches as Can Picafort, Playa de Muro, Pureto de Alcúdia and Puerto de Pollensa, all family-friendly. There is 1 parking space outside. Máxima tranquilidad + piscina ! Aire acondicionado un lujo a las altas temperaturas de Palma de Mallorca ! tv y cocina grande + una larga barra etc. Muy aconsejable. En una hora de ruta llegas casi a cualquier sito. 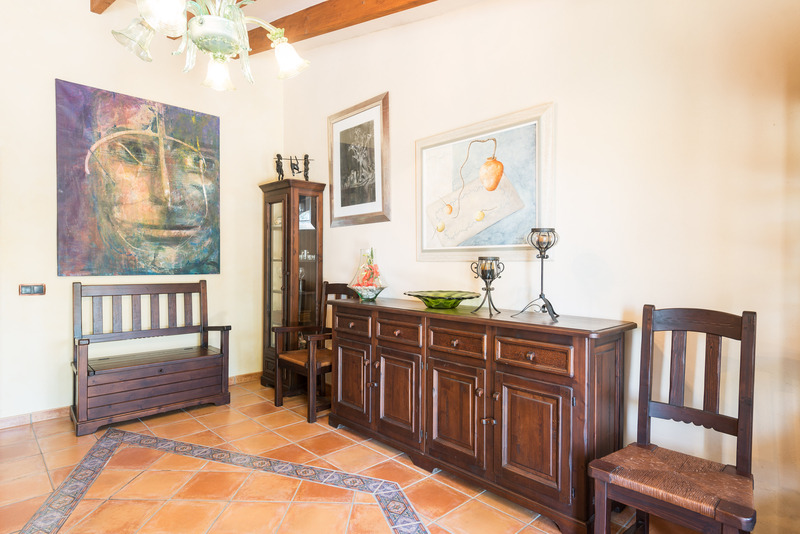 Lovely house with great outdoor facilities and pool and conveniently situated by a nice delicatessen/agromart and lovely restaurant in a windmill with a pet parrot! We could walk into the village easily with lots of nice restaurants and getting around the island was easy due to its central location and access to main driving routes. We stayed in Sineveta for a week in the middle of August. 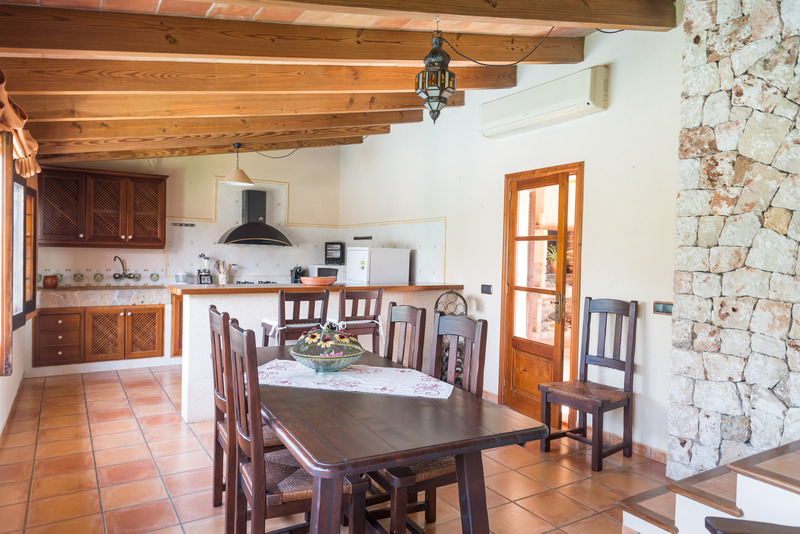 The location of the villa is great and is a 10 minute walk from the central square in Sineu. If visiting be sure to check out the lovely restaurants in the back alleys. Another review metioned the unmade road. This is a very small patch of about 10m. and if our children were younger we would have coped ok with a pushchair. About 5 minute walk from the villa is a lovely boutique supermarket. On first arrival we were very impressed with the villa, it was very clean and tidy, and felt much bigger than pictures portrayed. In the description of the villa it mentioned 2 sunbeds. Which is not many for a villa that sleeps 6. We were delighted to find 4 on arrival not the 2 advertised. I would advise the host to amend the listing if this is the confirmed number. The pool was fantastic, the only gripe is that the green astroturf type carpet around the pool was loose in places and could do with renewing. However, it was a great surface as it meant the pool surround was not hot or slippery for the kids. The seating area around the pool could do with a bit more lighting so when sitting outside in the evening you can see better. The villa is not overlooked and is situated at the end of a road. On the drive, is space for 2 cars not the 1 advertised. Since we were staying mid August, it was VERY hot!! 35c. I would advise any potential guest to ensure that the Air Conditioning situation meets your needs. Air Conditioning is NOT in every room. The main bedroom upstairs has it and this was great. The Kitchen / Lounge also had it. This kept the room cool in the evenings. However, the other bedrooms DO NOT. Fans were supplied and our kids, 8 and 13 were ok in one room. Our In-laws in the 3rd bedroom struggled though with the heat. If the villa had AC in every bedroom then this villa would be perfect. The kitchen was well equipped and had all utensils needed. There was even a dishwasher and washing machine out the back. Although we didn't use these. 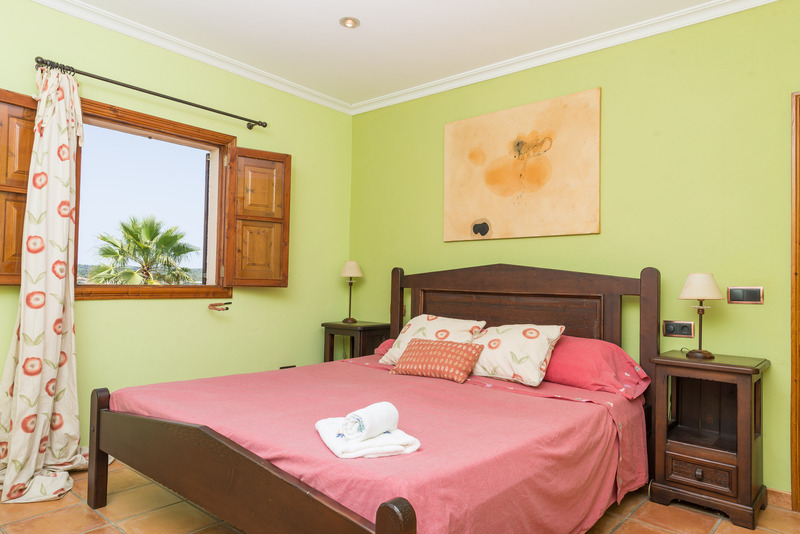 Lovely Villa and would definately look to stay again if visiting as a couple or if AC was fitted throughout. Thanks. Idéalement situé au centre de l'île pour avoir accès à tous les sites, villa agréable près des commerces. Town just a 5 min walk away, which was really charming, with some great places to eat. Tomassini's and La nata were fab. Villa was clean, and tidy. A nice chap called round to clean the pool every now and again, who did not speak a word of english which was kind of funny when my little one tried speaking to him. Kids loved the pool, but would not be suitable for very young children as it was over my 5 years olds head in the shallow end. Luckily he could swim! (by the end of the holiday :)) Good central position for exploring the island. We had a car, but Sineu did have a train station. Overall we were very pleased, and dont have anything negative to say about the place whatsoever. I would definitely stay again. Booking was easy through tripadvisor and I would recommend. Thankyou for a great break! We stayed here for 7 days and had a wonderful time. The place itself is spacious and comfortable and the pool a massive bonus especially in the blistering heat. The local town Sineu, the centre of which is a couple of minutes walk away, is beautiful and the central square a must for an evening drink or meal. A bit disappointed, all in all. I believe in writing a fair review, there are positives and negatives about staying here. 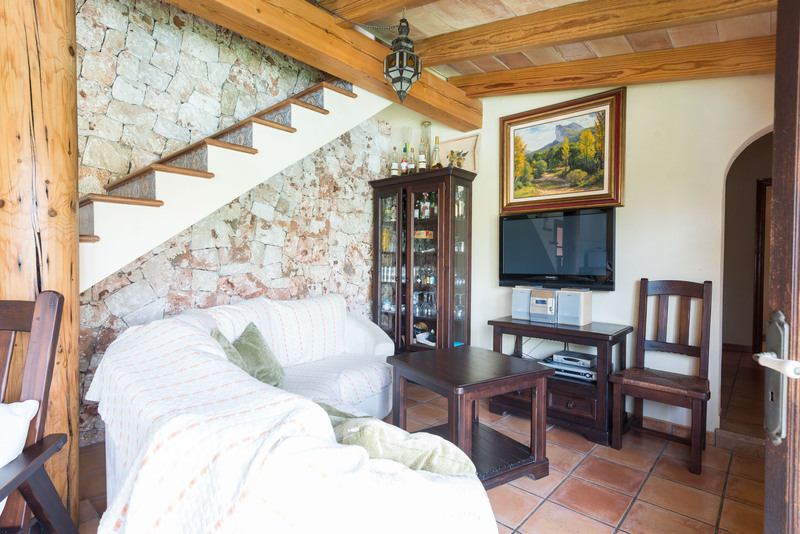 The location, the town Sineu, is friendly and ideal if you are looking for a rural area with plenty of local bars, restaurants and train station with a service to Palma. There is also a market on Wednesday's. As it is rural, expect early wake ups from neighbouring roosters and dogs! We drove twice to the beach, the nearest we found is around 30 minutes away (although there may be others nearer) The villa is clean however the pool was not on for our first 2 days, it was dirty and therefore not used until the pool maintenance man came unexpectedly on our third day. Directions to the property were good and pre-arrival communications kept us informed of check in and check out. 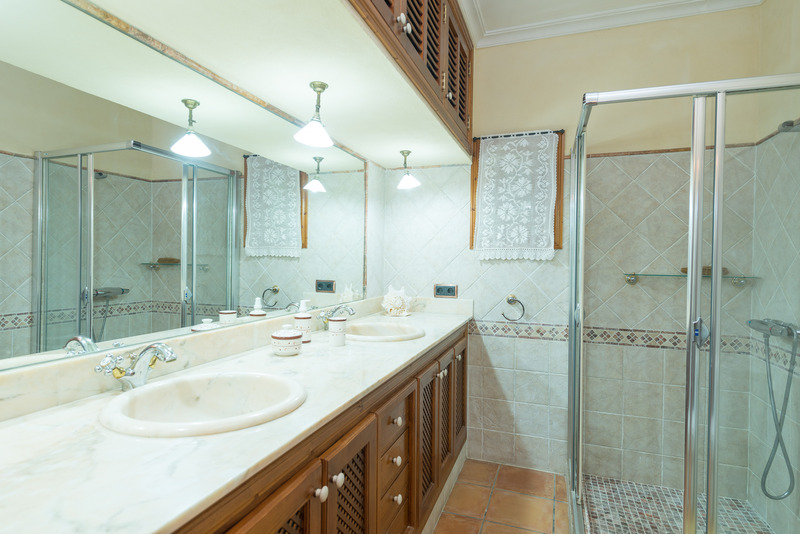 Ample linen, towels and kitchen ware is provided and there is a washing machine available. The road down to the villa is very uneven so probably not suitable for wheelchairs or baby buggies. Our first impressions were not good; the hall and downstairs area smelled very musty and damp, luckily this was contained to that area of the villa that we didn't use however I wouldn't have liked to have to stay in one of the downstairs bedrooms - we only used the kitchen / dining area and master bedroom. 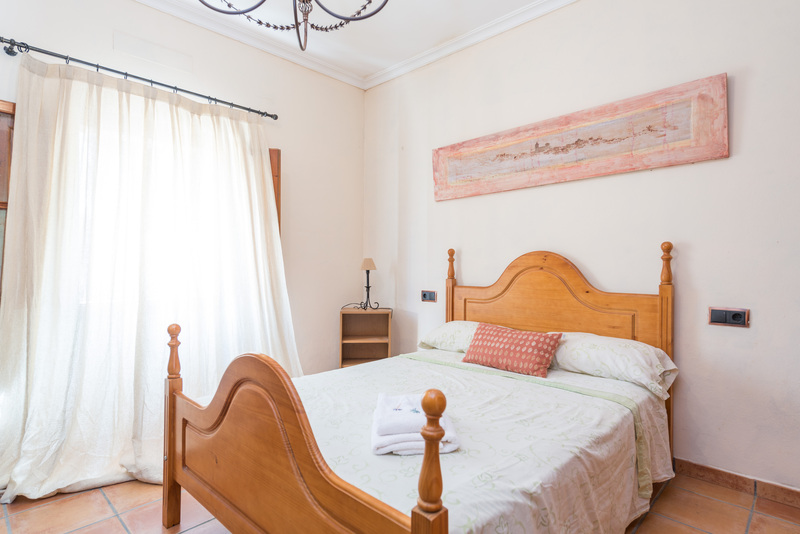 The air-conditioning unit in our bedroom upstairs worked well and was necessary however the separate unit downstairs did not function properly in the living area which did get hot and uncomfortable. The customer service number is ideal - we needed to call when we had a power cut and they directed us to the fuse box to reset the switches. (the power cut off twice) The TV has only Spanish speaking channels. The staircase has no handrail and is open, albeit the couch is underneath to cushion a fall. It is rather precarious and I would be nervous of young children going up and down these. We would have benefitted from a small manual - details of where and when to leave rubbish, how often the pool maintenance man comes and the location of the fuse box etc would have been handy. We feel a bit disappointed all in all. 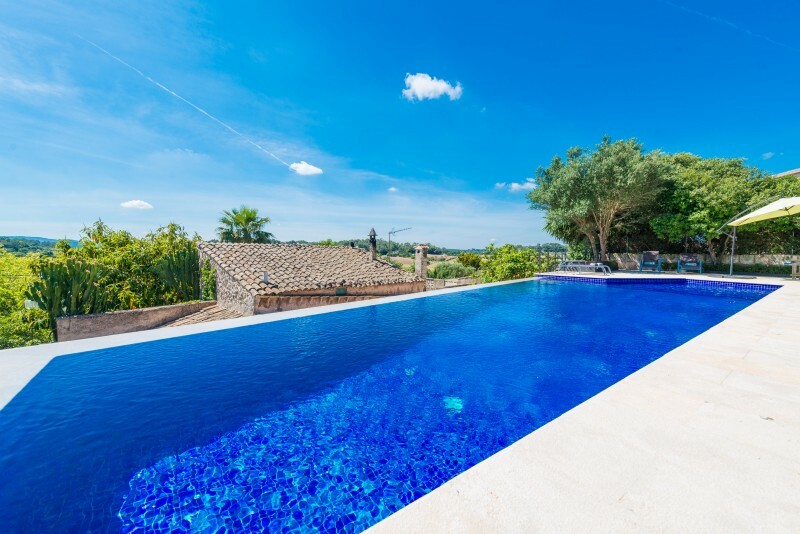 Majorca does seem to be getting expensive and this is reflected in the prices to rent and although it's only our opinion, the villa could do with a bit of upgrading.